Ruff, Ruff! Hi, my name is Spec. Everyone needs to get haircuts. Even puppies like me need to be groomed. It’s okay. I’m very proud of you for being brave. Thanks for being my friend! Woof! Not only is Spec a great friend, this black lab puppy is there to reassure children who are experiencing stress (especially if they are having blood drawn or getting a hair cut). 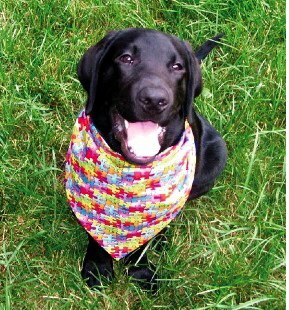 Spec, the Autism Spectrum Puppy, is a real black lab puppy. He is the Ambrose Family’s pet.